The objective of robotics competitions, such as FIRST LEGO® League (FLL®), is to create a tournament that promotes high-level engineering and academic engagement in students by providing the most rewarding experience possible for the largest group of students. To increase the number of students age 9-14 successfully participating in FLL® from public schools, and to concurrently increase the diversity of the pool of student participants, the Georgia FLL® organizers have implemented a number of interventions. 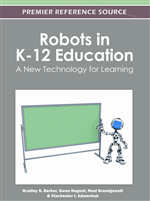 These interventions can be grouped into A) Centralized policy decisions that impact how the program is run at the state level; B) Outreach activities that provide low-income teams with training and supplies; C) Promotion of LEGO® Mindstorm use within the actual school curriculum; and D) Partnerships with school systems to promote after-school FLL® robotics clubs. This chapter reviews these efforts and their effect on tournament diversity. The FLL® competition is frequently promoted as an effective method of introducing middle school children to engineering problem solving and of increasing the pipeline of students into engineering and other STEM disciplines. The FLL® program centers on a Challenge that is released by the national FIRST organization annually in early September. Participating students in grades 4-8 (ages 9-14) tackle a problem with a socially relevant theme that is designed to increase the students’ awareness of current affairs. Each student team can have up to ten students and is required to build a robot using the LEGO® Mindstorm robot set and program it to perform 8-10 tasks that relate to the overarching theme. Teams are also required to research the theme and develop a product or strategy to address the social issue.